Consumer products and services are such an ingrained part of everyday life that it might be easy to forget their importance as an industrial sector. As items that are generally expected to be readily available in modern households, consumer products can take on a very broad definition. At Plunkett Research, we consider the consumer products industry to include household products, soaps and cleansers, cosmetics and makeup, along with products for skin care, nail care and hair care. Also, we consider a wide range of businesses to be in the consumer services sector, including pet care; nail and hair salons; spas and massage services, and many other types of personal services. Plunkett Research estimates the U.S.
market for barber, hair, beauty and nail salons, as well as diet centers, spas and similar personal services, at $72 billion for 2019, to grow to $92 billion by 2025. The global beauty products and personal care products market is estimated at $443 billion for 2017 by analysts at Inkwood, with growth projected to $566 billion by 2026. At Plunkett Research, we estimate U.S.
Cosmetics, personal care and household cleansers manufacturing industry revenues at about $98 billion for 2019, growing to $128 billion by 2025. Consumer products and services are such an ingrained part of everyday life that it might be easy to forget their importance as an industrial sector. As items that are generally expected to be readily available in modern households, consumer products can take on a very broad definition. At Plunkett Research, we consider the consumer products industry to include household products, soaps and cleansers, cosmetics and makeup, along with products for skin care, nail care and hair care. Also, we consider a wide range of businesses to be in the consumer services sector, including pet care; nail and hair salons; spas and massage services, and many other types of personal services. Plunkett Research estimates the U.S. market for barber, hair, beauty and nail salons, as well as diet centers, spas and similar personal services, at $72 billion for 2019, to grow to $92 billion by 2025. The global beauty products and personal care products market is estimated at $443 billion for 2017 by analysts at Inkwood, with growth projected to $566 billion by 2026. At Plunkett Research, we estimate U.S. Cosmetics, personal care and household cleansers manufacturing industry revenues at about $98 billion for 2019, growing to $128 billion by 2025. While mass-market retailers, including discount stores, department stores, drugstores and supermarkets, are major sellers of consumer products, there are also a considerable number of specialty stores focused on personal care products, including the Ulta chain of beauty and skin care products, as well as its competitor Sephora. 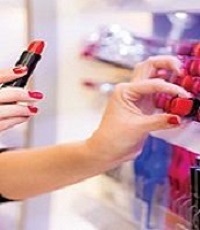 Plunkett Research estimates the specialty cosmetic and beauty supply store industry in the U.S. at $15.5 billion for 2019, growing to $19.6 billion by 2025. Annual Consumer Price Index, 1940-2018, U.S. The global food and agricultural industry for 2018 totaled about $8.7 trillion, according to Plunkett Research estimates, or about 10% of the world's GDP. Global food exports totaled $1.47 trillion in 2017, according to the World Trade Organization (latest data available). While it is obvious that food is of equal importance to all people on planet Earth, the relative cost of that food is not equal. It varies widely due to such influences as location, local food industries and the availability of proper infrastructure for food transportation and storage. Households in well-developed nations such as the U.S.
Canada, Singapore and countries in Europe, spend a relatively modest portion of household income on food, typically 11%-15%. In less-developed nations, such as Pakistan, Nigeria and the Philippines, food make account for more than 40% of spending, making it hard for families to invest in education or health care. In America, the average household spent $7,729 on food during 2017, up from $7,023 the previous year. That included $4,363 spent on food for at-home dining, and $3,365 for dining out. The retail grocery store and supermarket industry in the U.S., with 40,498 stores, totaled about $660.6 billion in revenues during 2018, up from $641.1 billion the previous year, according to U.S. Department of the Census figures. Retail, with nearly 15.8 million employees in America alone (more than one out of 10 workers), is one of the largest industries in the world. Retail sales in the U.S.
totaled an estimated $6.05 trillion during 2018, according to Plunkett Research, up about 5% for the year, and up dramatically from only $4.0 trillion during 2009. Total sales were $5.75 trillion in 2017 according to the U.S Census Bureau. (Sales at stores selling general merchandise, apparel, furniture and specialty items, referred to as “GAFO,” totaled $1.28 trillion in 2017. GAFO is an important distinction. In contrast, retail sales of all types are considered to include automobiles, gasoline and restaurants.) Factors that will impact the retail sector in the U.S., Europe and most Developed Nations:· Consumers are reluctant to increase debt. This means that many people wait to purchase until they can pay cash. · In the U.S., a very low unemployment rate and a strong economy, as of late 2018, point to a reasonably good retail environment in 2019. Nonetheless, rising interest rates may make consumers cautious when purchasing big-ticket items. · Consumers are less interested than in the past in buying clothing and more interested spending on travel, experiences, automobiles and home remodeling or repairs. 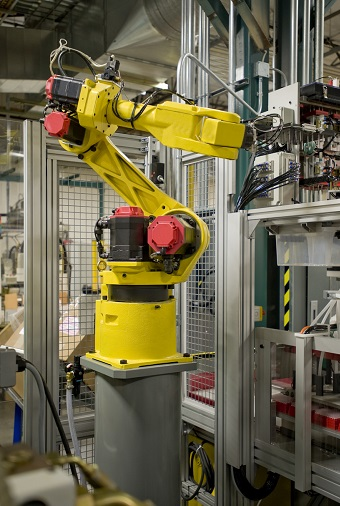 The manufacturing and robotics sectors have become tightly intertwined in recent years, thanks to the rapidly growing importance of factory automation. On factory floors ranging from relatively small machine shops to giant automobile plants and electronics factories, computer-driven equipment plays a vital role in manufacturing worldwide. The sophistication of the equipment ranges from simple computer-aided machinery that cuts fabric prior to it being sewn into final garments, to robots that make highly accurate and sophisticated welds in car factories, to robots that can rapidly assemble tiny electronics components and solder them in place with blazing speed and great accuracy. The First Industrial RobotThe first industrial robot to be installed in a major manufacturing plant was probably a machine named Unimate #0001, utilized at a General Motors diecasting plant in Trenton, NJ beginning in 1959. The primary force behind the Unimate was an American named Joseph Engelberger (sometimes referred to as the “father of robotics”) of the Consolidated Controls Corp. These efforts led to the establishment of a related firm, Unimation, Inc.
By the late 1960s, automobile manufacturers were racing to install robotic units such as automated welders in their plants worldwide. As the decades went by, Japanese and German firms grew to be world leaders in factory automation equipment and robotics.